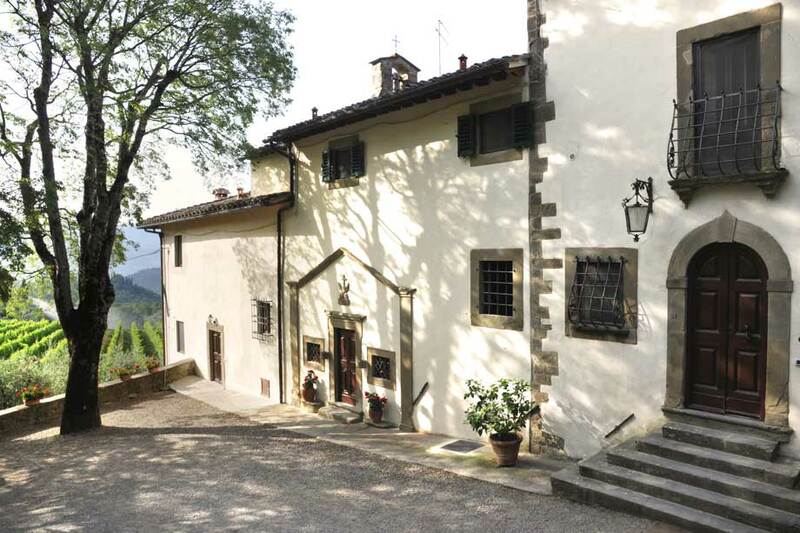 The Villa sitting in the middle of this property dates back to the twelfth century when it was inhabited by the Olivetan monks, testimonies to whom are still visible on the façade of the private chapel. 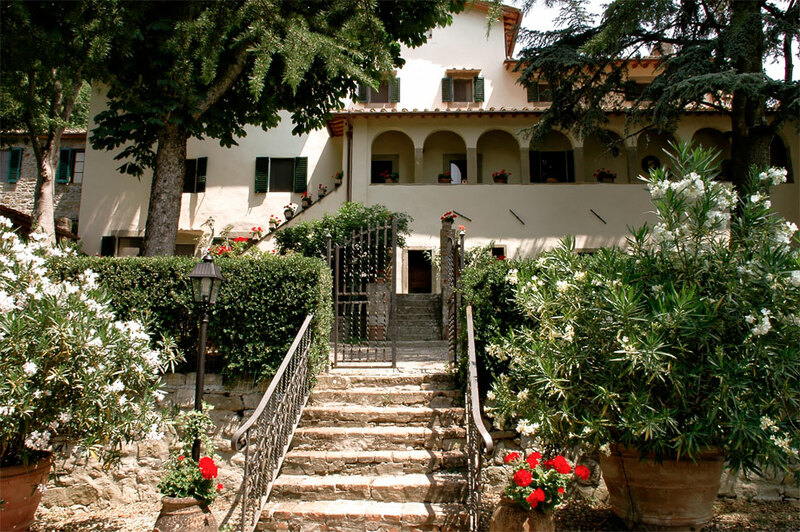 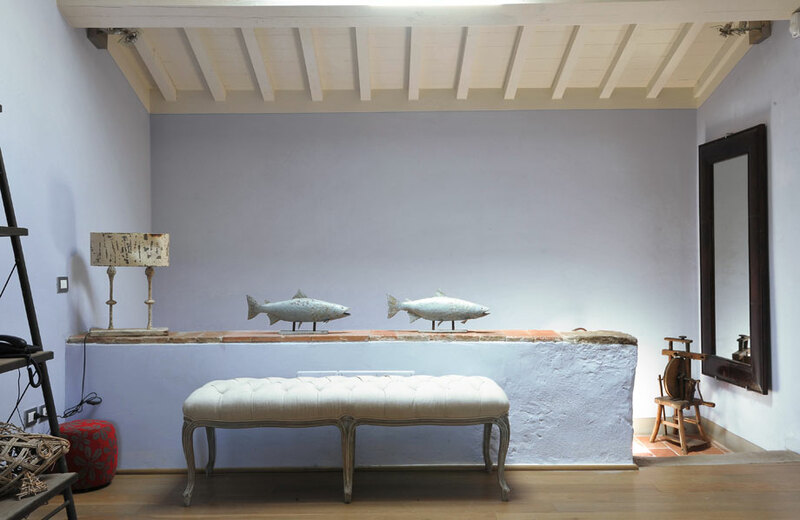 For years the noble Anforti and Sansoni Trombetta families made it their country residence and now the current owners, after painstaking and meticulous renovations, have restored it to its ancient glory…..but the property does not stop here. 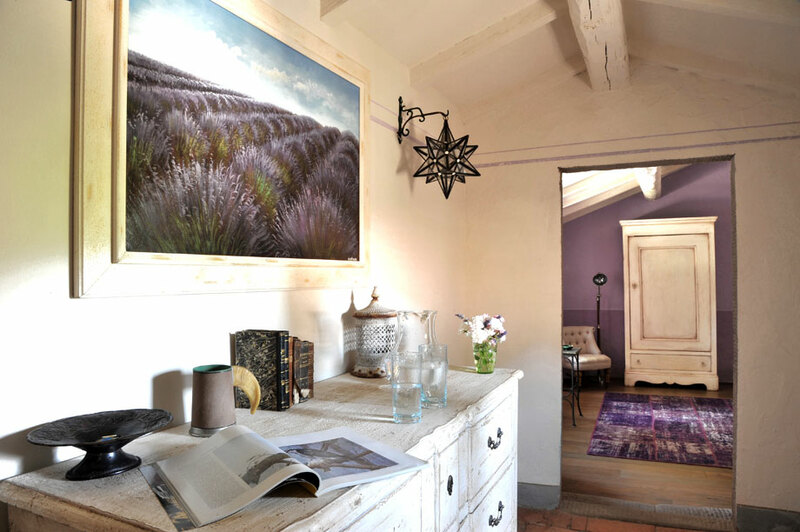 Petroio spreads over a surface area of 280 hectares, filled with woods, vineyards and olive groves, the perfect habitat for the wildlife that we can often come across while walking around the farmlands. 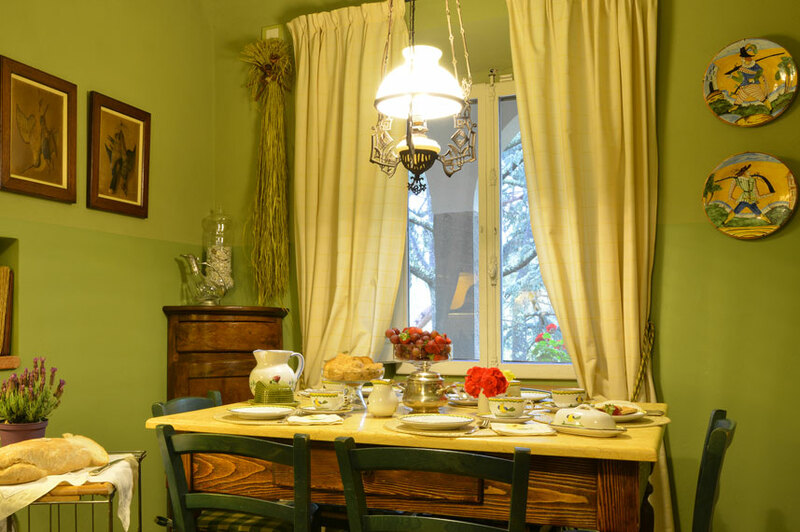 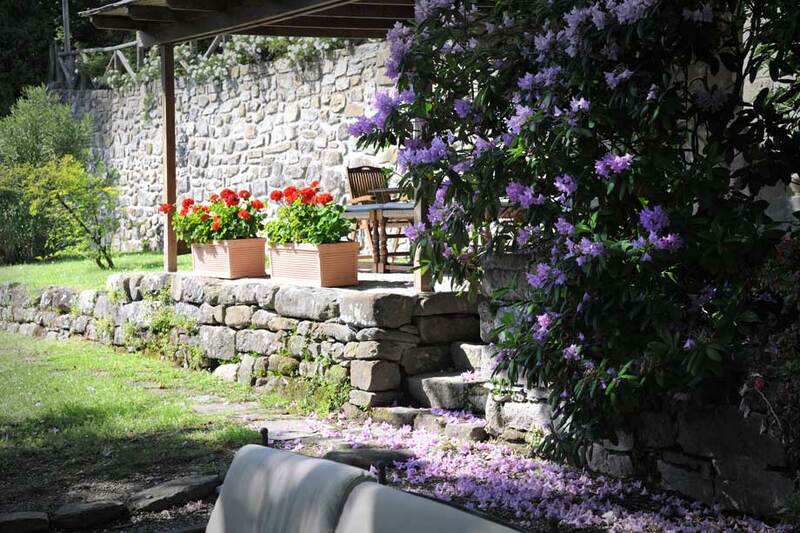 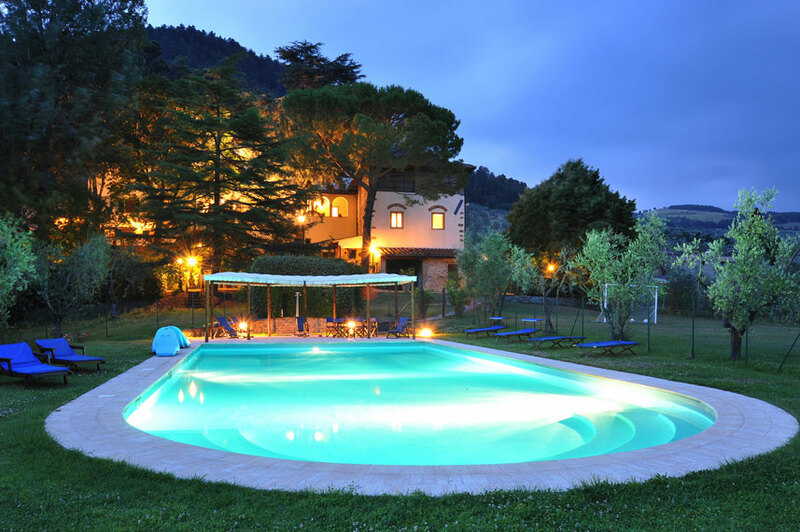 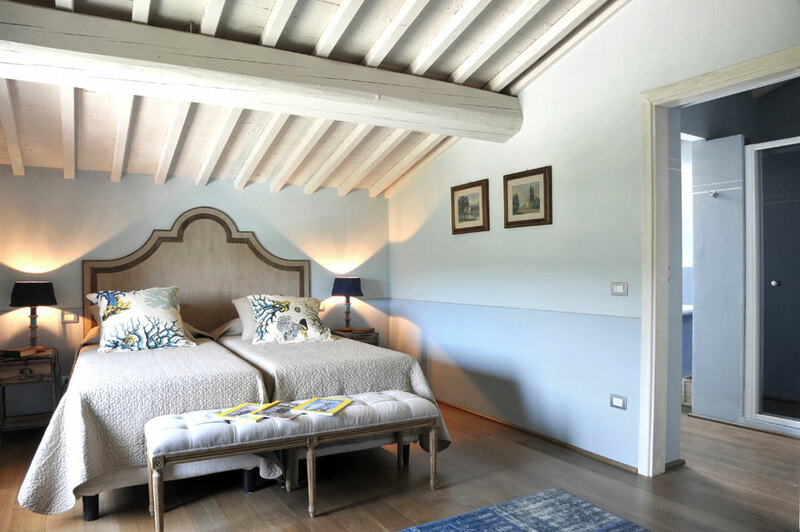 Besides the Villa there is also an antique hamlet dating back to the sixteenth century, fully restored with a perfect balance between tradition and refinement that meld together in every detail of this corner of Tuscany. 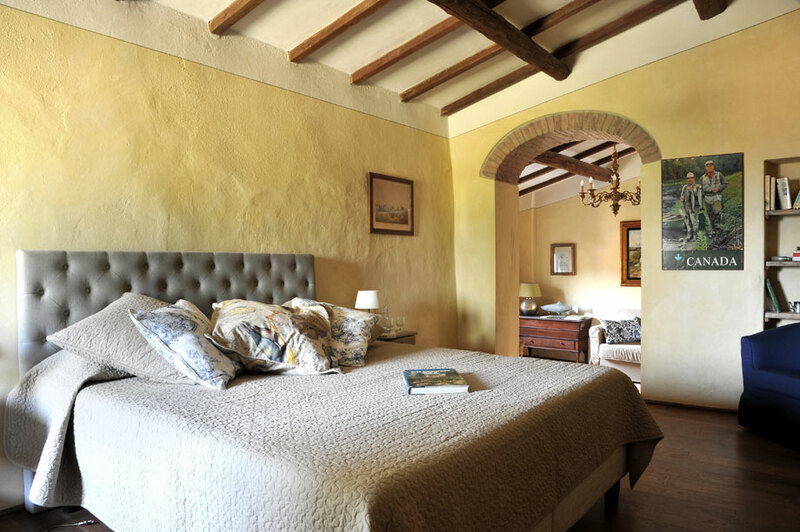 La Villa has 7 bright, spacious bedrooms with classical wooden beamed ceilings and elegant furnishings that also include beautiful antiques. 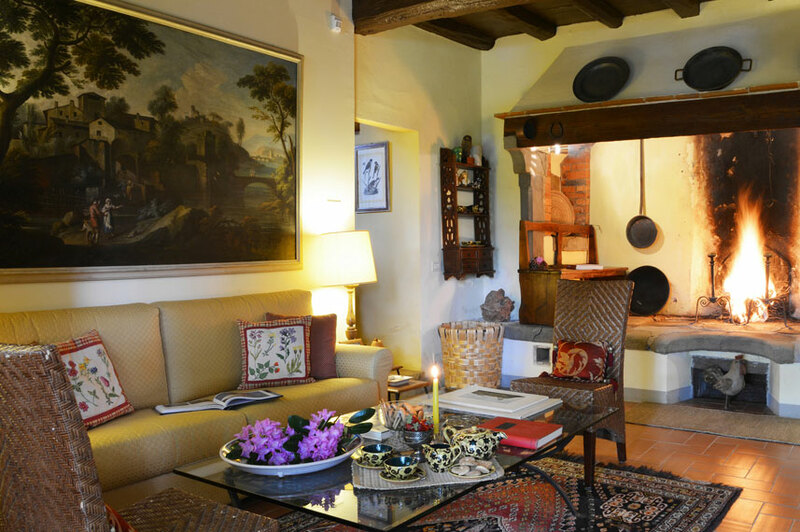 Inside, you can move about as though in your own home, basking in total privacy enhanced by the charm of discovering traces of life and small objects belonging to the owners in every angle. 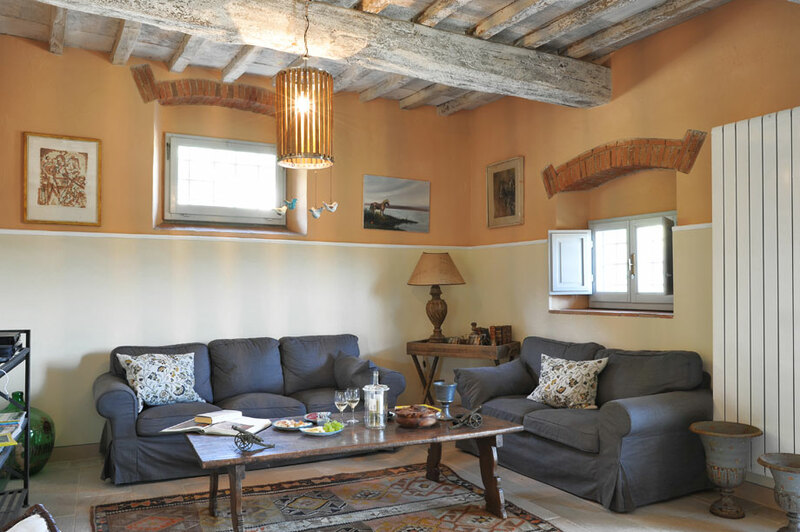 Apart from all the facilities of a perfectly equipped home, a large open space covering 150 square metres is located on the top floor of the ancient granary that can be reached from the loggia of the villa and consists of a professional kitchen and living and dining areas,. 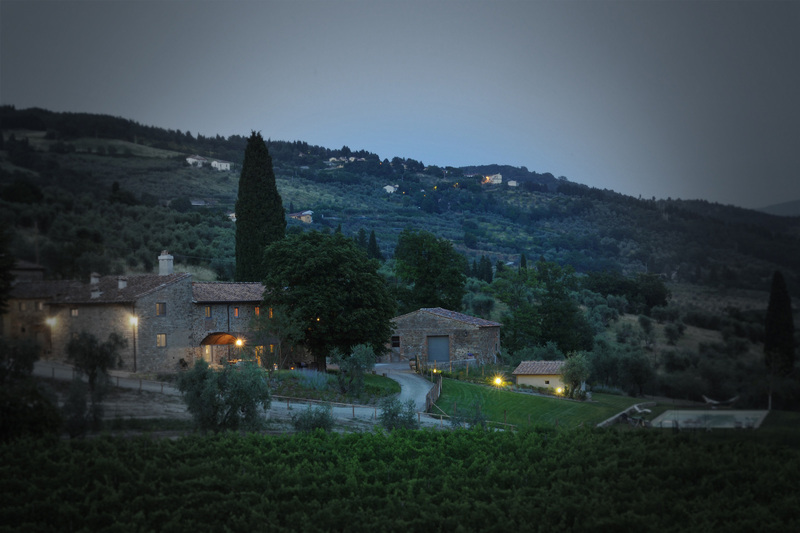 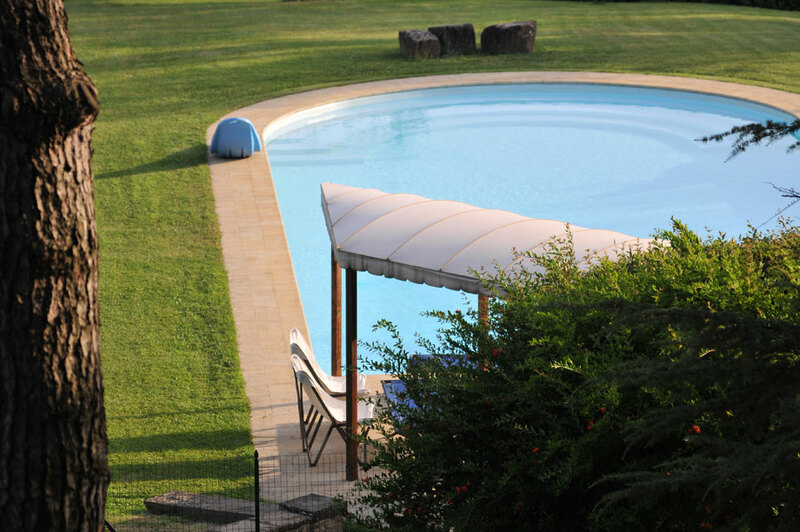 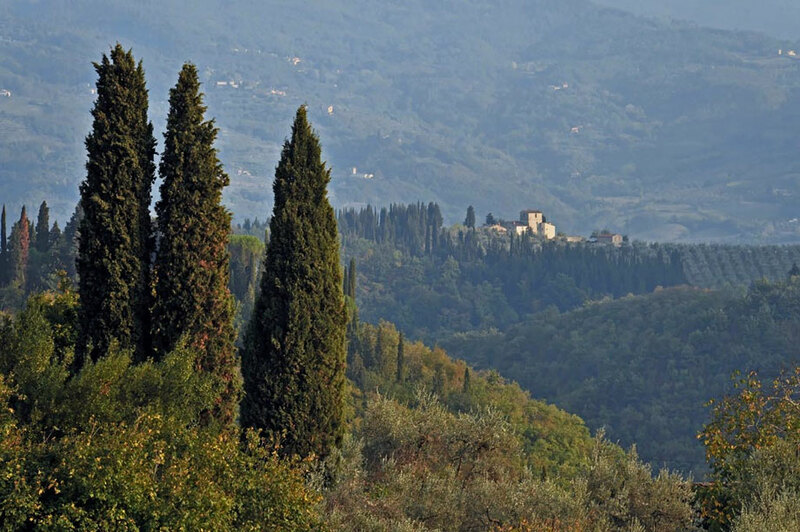 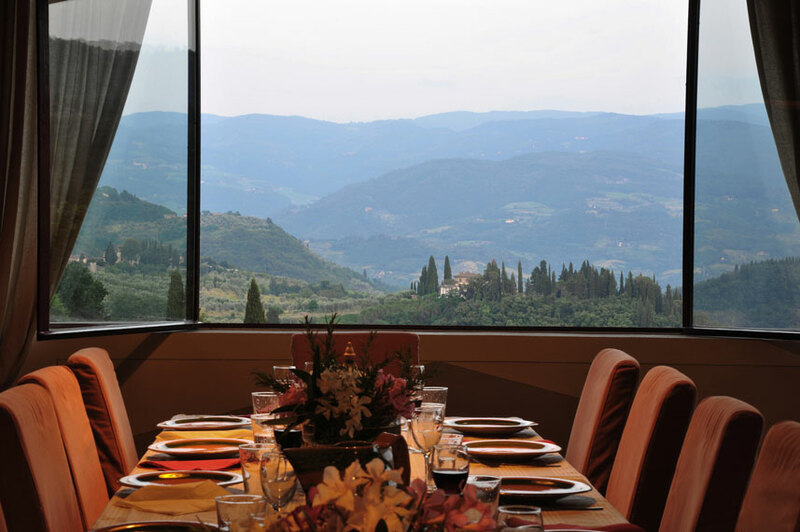 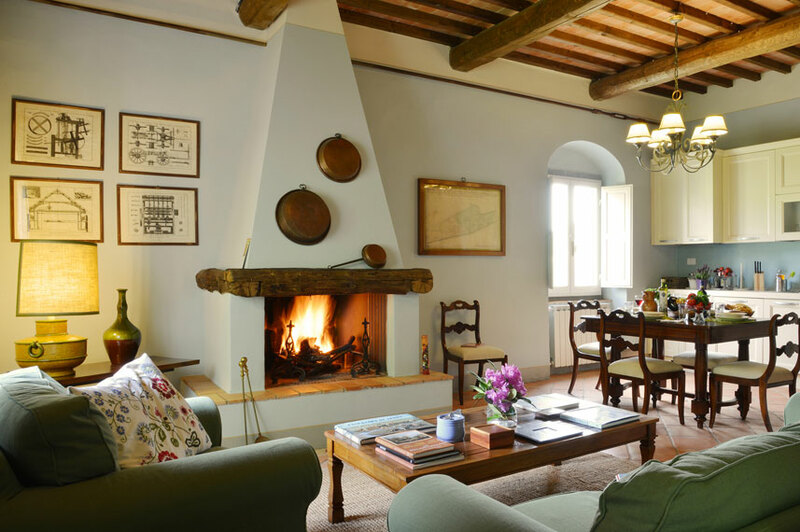 With its breathtaking views over the vineyards and surrounding hills of the Chianti Rufina, it welcomes guests and their families with the warmth of a large family room. 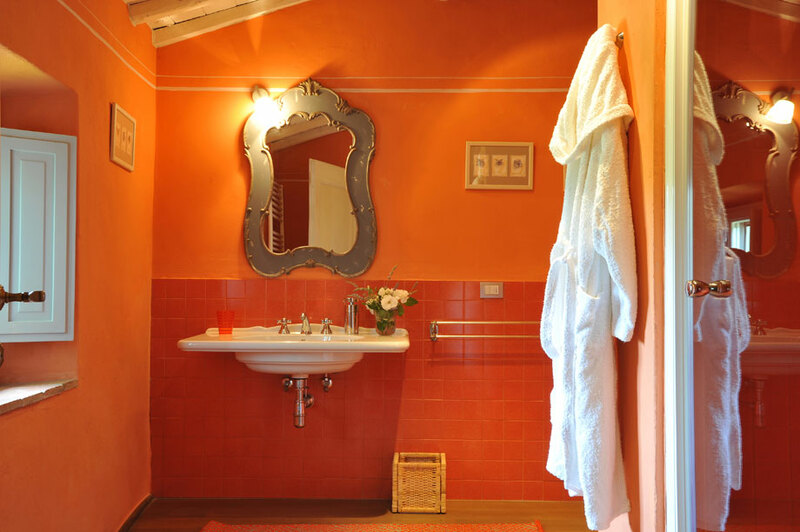 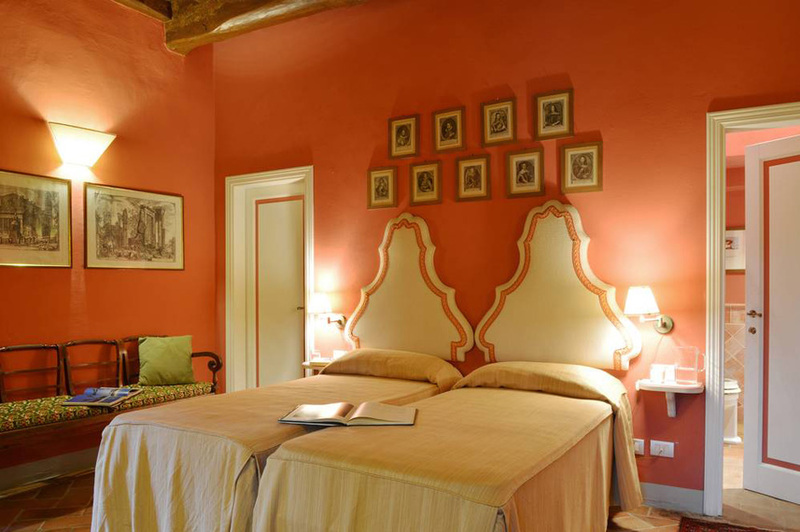 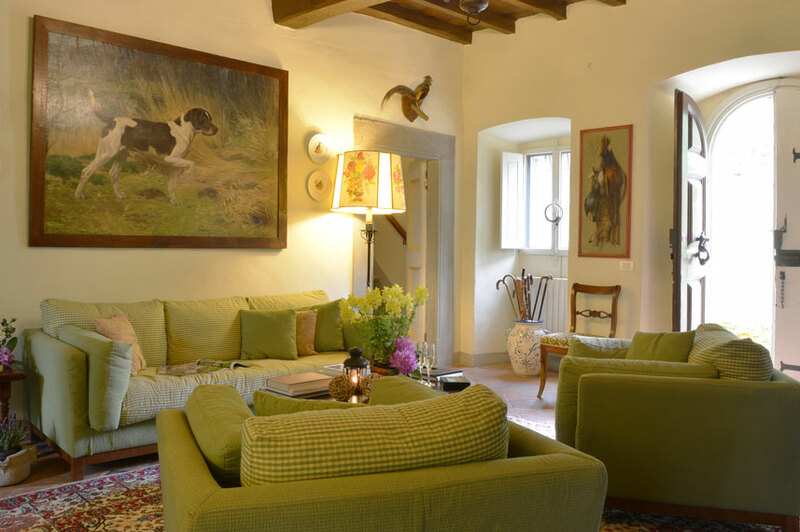 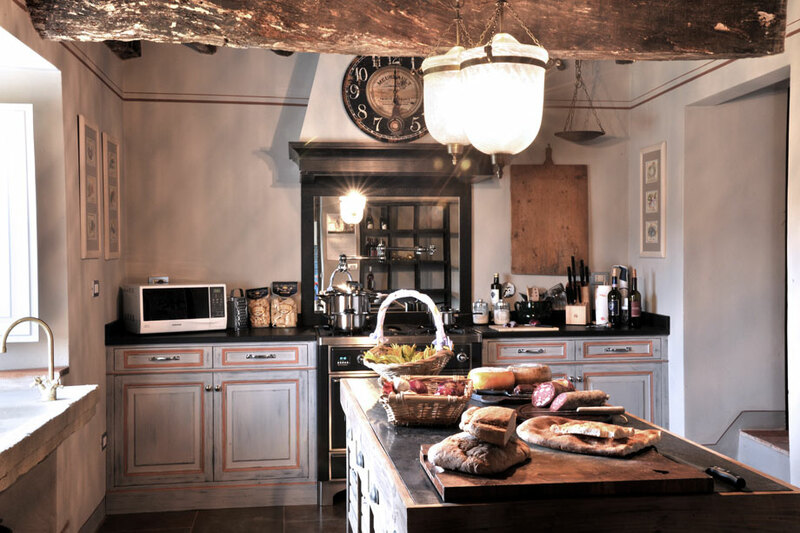 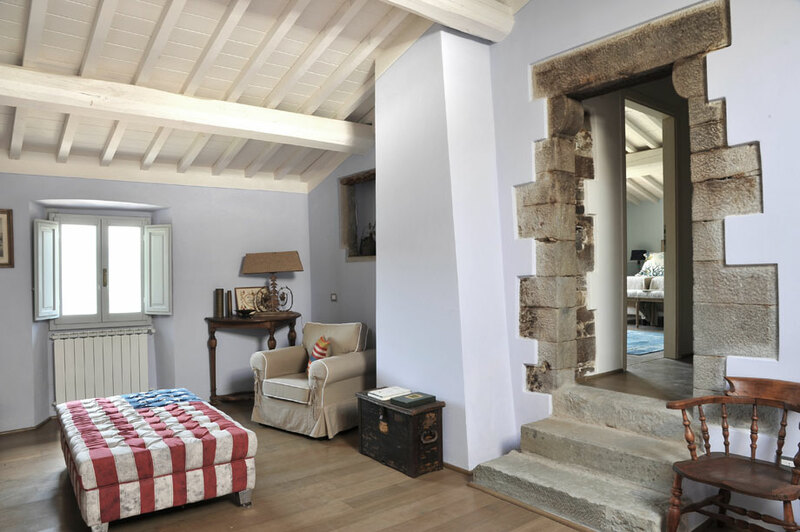 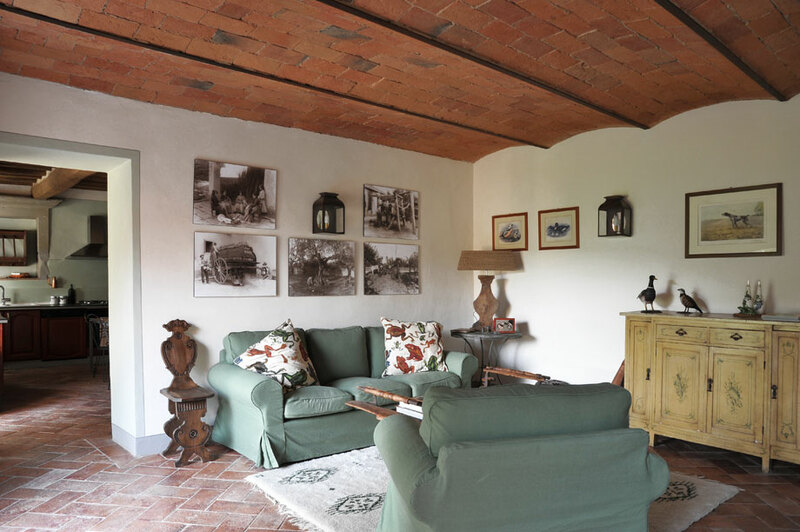 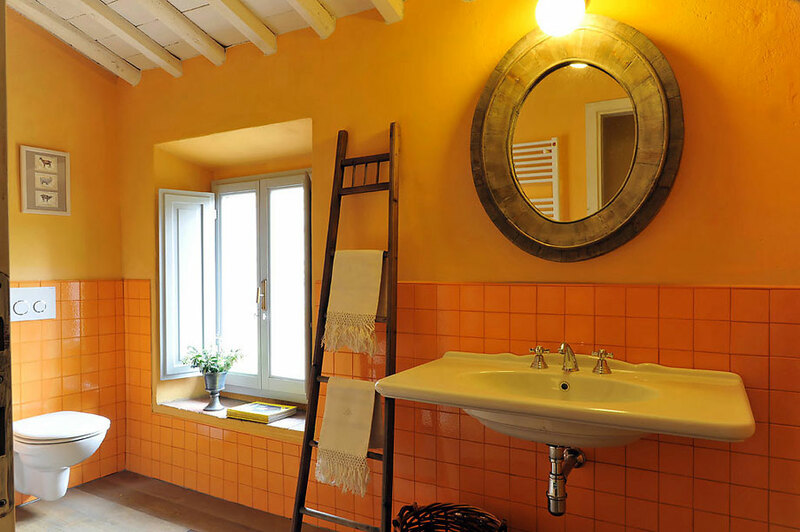 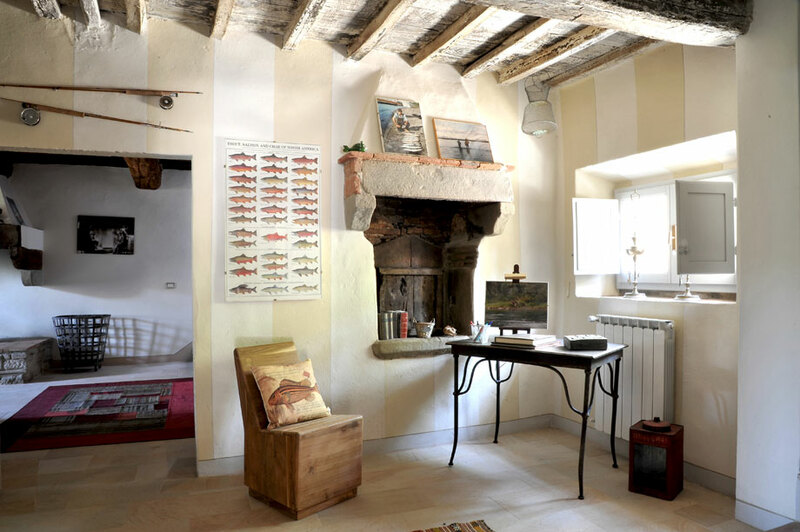 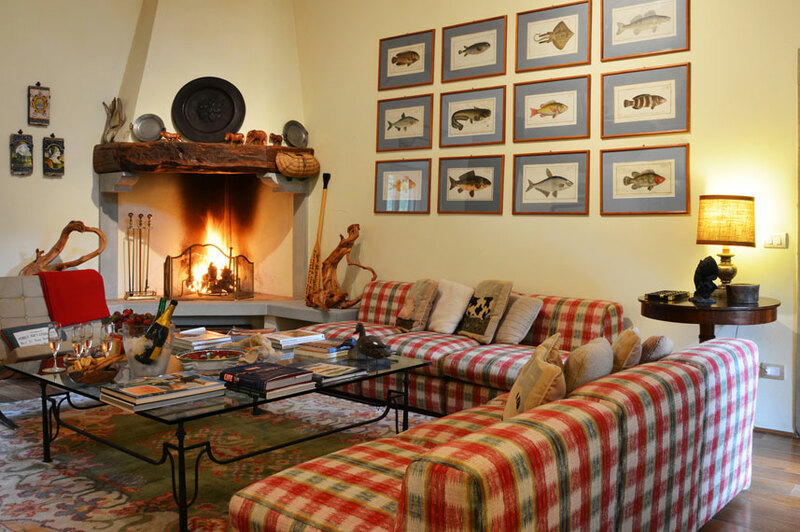 Il Borgo consisting of two traditional stone farmhouses, perfect for 14 people, has an interior layout which welcomes guests with modern elements both in the furnishings and the design choices, in full respect of its Tuscan roots. 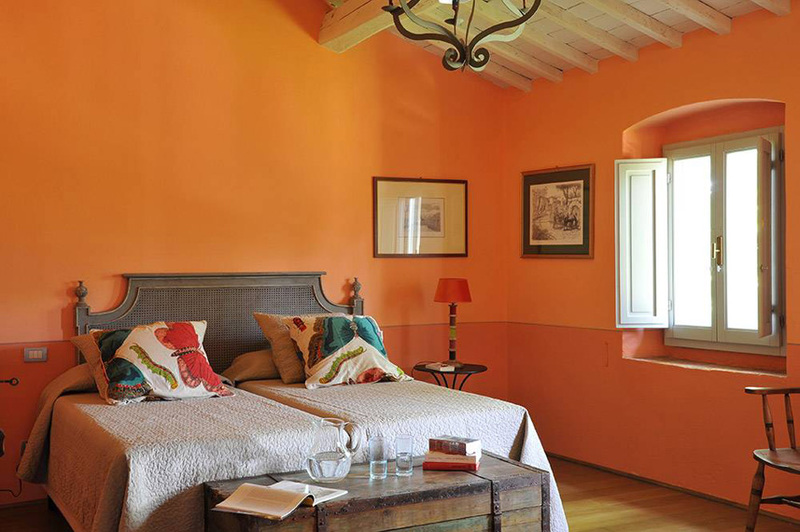 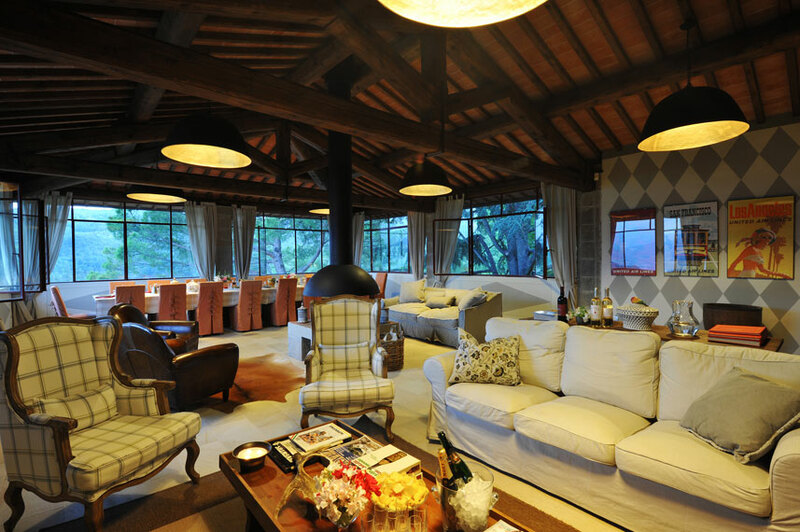 The result is a magnificent effect that makes each room unique, in an explosion of colours and details that invite you to relax and enjoy your holiday.